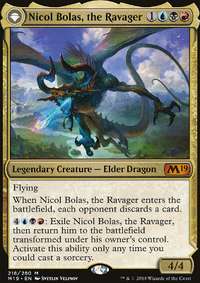 Just threw together a themed deck for Nicol Bolas, based completely on his current plans in lore. Now I know this isn't exactly the most competitive deck, but its for fun! Went with a Zombie theme, as I pray to Bolas that we will be getting more eternals with the next set (War of the Spark). Anyways, make any suggestions you want! 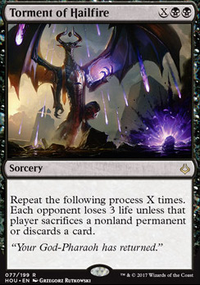 Again, this isn't meant to be super competitive, may add some little combos or something later or if someone suggests one that still fits in line with the Lore of Bolas, I shall do my best to acquire the cards to add it in! Thanks for any suggestions and as always, PRAISE BOLAS, LONG LIVE THE GOD-PHARAOH!